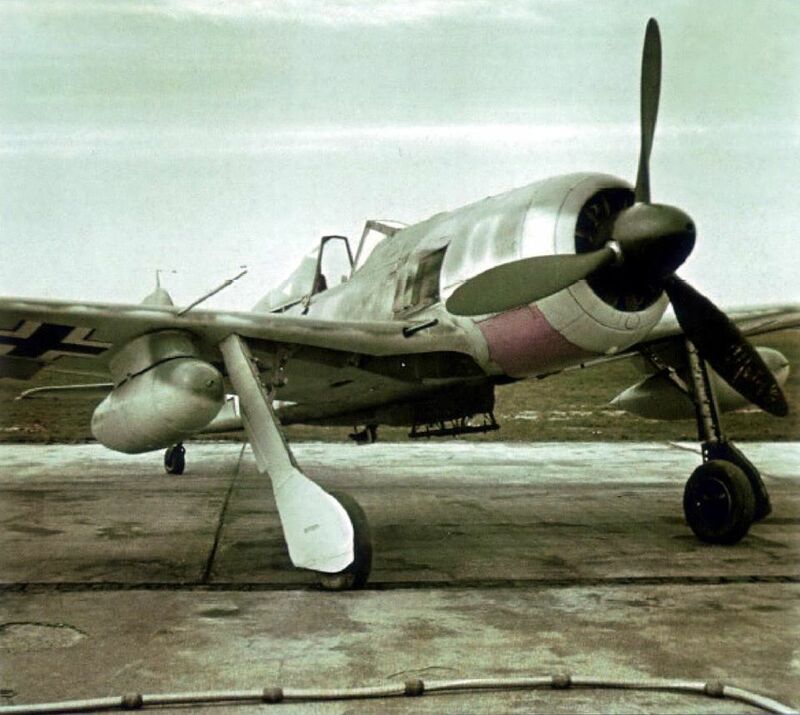 A rarely-photographed Focke-Wulf Fw 190 A-5/U8. The A-5/U8 was another Jabo-Rei outfitted with SC-250 centreline-mounted bombs, under-wing 300-litre drop tanks and only two MG 151s; it later became the Fw 190 G-2. 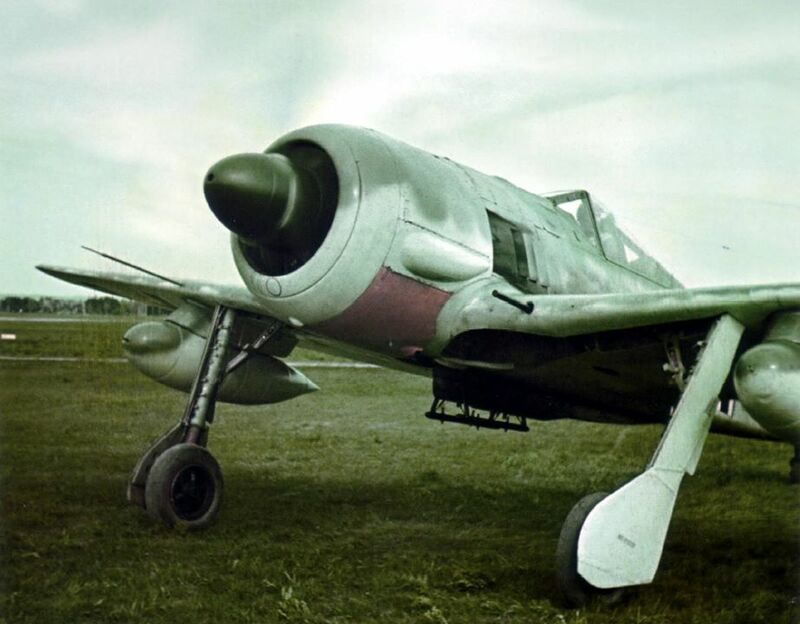 The Fw 190 A-5 was manufactured from November 1942 until August 1943. The U8 conversion was a long-range fighter-bomber (Jabo-Rei). Beneath each wing is a 300-l fuel tank on a so-called “Ju 87 Rack”. The tanks were not jettisonable and seriously reduced the aircraft’s maximum speed, consequently this type of rack was not put into production. Beneath the fuselage is an ETC 501, which could accommodate a bomb or auxiliary fuel tank. When this rack was fitted, it was standard practice to lengthen the mainwheel fairings to at least partly replace the missing wheel well doors.